Jennifer joined the Foundation in 2011, bringing more than 15 years of nonprofit and philanthropic experience, including leadership and capacity-building roles at the Sterling-Dorman and Whitecap foundations, and various positions in arts, education, journalism, outdoor leadership, and youth development. She holds an MSc in positive organizational development and change management from Case Western Reserve, a bachelor’s degree from the University of Oregon, and professional certifications in appreciative inquiry, business sustainability, coaching, and college counseling. 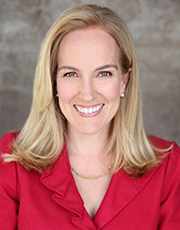 Currently a trustee at the Westside Neighborhood School, Jennifer previously served on the boards of Hill & Dale Family Learning Center (president) and Diavolo Dance Theatre (treasurer), and on the membership committee of Grantmakers for Effective Organizations.